A different take on last week’s IRA announcement, by socialist republican Tommy McKearney. Organisations with strong centralised and hierarchal structures, especially the conviction driven, are usually prone to splitting or the breaking away of factions. Often this occurs at periods of significant political development or societal transformation when direction-changing decisions are required. This happens in religion, in sport and with unending regularity in the world of militant Irish republicanism. Three of the largest parties in the present Irish parliament, for example, had their origins in bitter divisions within the country’s republican milieu. Such a history, therefore, makes the news of a merging of certain forces within the present day republican underground, an interesting and indeed surprising development. In spite of its newsworthiness, this development should be kept in perspective. In the first instance, this new IRA group will be confronted with a challenge experienced by every revolutionary organisation; that of maintaining security and secrecy in the face of energetic surveillance by the state. There is little doubt that this merger will simplify MI5’s task of monitoring and foiling the new group’s activities. Secondly, there are two other bodies, still calling themselves the IRA that remains outside this merger. Therefore the fractious and divided nature of armed Irish republicanism remains as poisonous and debilitating as ever. The particular school of Irish republicanism represented in this new group is often more certain of what it opposes rather than what it stands for. This makes it difficult for them to build the type of broad support base necessary to influence the political process. Most pertinent of all, though, is the fact that the new formation is unlikely to change significantly the balance of forces within Northern Ireland. Trying to estimate membership strength for the various militant groups is difficult because the level and depth of support can fluctuate widely depending on the time and circumstances. One of the anomalies of the current situation is that while Sinn Féin voters are strongly opposed to further armed action, many are unwilling for historical reasons to cooperate with the authorities. Acceptance for all aspects of policing remains ambiguous within most republican circles. 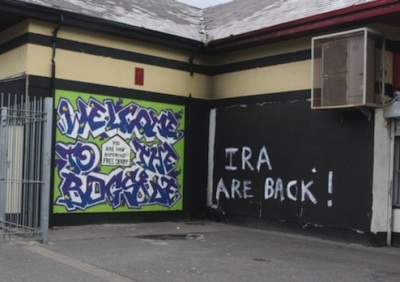 Nevertheless, an overwhelming majority of people in Northern Ireland are opposed to any resumption of the violent battle of the final quarter century of the 20thcentury. Every election since the Good Friday Agreement of 1998 has returned, from within the wider republican constituency, an overwhelming majority in favour of ending armed conflict and an equally strong rejection of those indicating any intention of recommencing insurrection. While there is no mechanical correlation between electoral support and ability or capacity to carry out direct action, the presiding officer’s count provides its own message. When people are unwilling to vote in secret for an insurrectionist candidate, they are unlikely to endure the unavoidable hardships and risks of war against the state. In practical terms there is insufficient water in which armed radicals can swim in Northern Ireland of the present day. This low-key assessment notwithstanding; there is a message to be taken from a coming together of previously separate entities. It is rare for divisions in republican Ireland to be repaired or for groups to coalesce in this fashion. The significance of what has happened may not lie, therefore, in the new group’s potential for increased military capacity (and that is questionable hypothesis by any assessment) but in the fact that there is a new strategy in play and the process is towards unity rather than remaining separate. Bear in mind that all is not well in Northern Ireland. Global recession is embedding economic and social hardship in areas that have experienced little improvement in their level of material prosperity over the last two decades. Sectarian divisions remain at a toxic level, especially in working class districts. Local devolved government performs a basic function of any parliament in that it is a substitute for civil war, yet it hardly makes any other obvious difference in the population’s day to day lives. Ominously, this new IRA is concentrated in the very areas where deprivation is most acute. There is, in a nutshell, a space for dissenting voices to question the status quo and Irish republicanism is, after all, more a response to material conditions than it is an aspiration to a form of government. Five years ago a sense of estrangement manifested itself in France with youths burning property in the suburbs. Last year something similar happened in Britain when rioting broke out across urban centres. Protest in Ireland sometimes follows an indigenous pattern and therein lurks the one great unknown factor in this latest ‘new departure’. Is this a huddling of desperate men determined to hang together rather than hang separately or is it an indication, even subconsciously, of a societal change that is encouraging direction-changing decisions?